Waiver letter along with a copy of the scholarship offer letter OR Tuition Adjustment Form(to reduce, cancel or block disbursement of loan amount). See SLB's website for further information. The Student Loan Bureau policy allows one individual to be a guarantor for up to three persons. 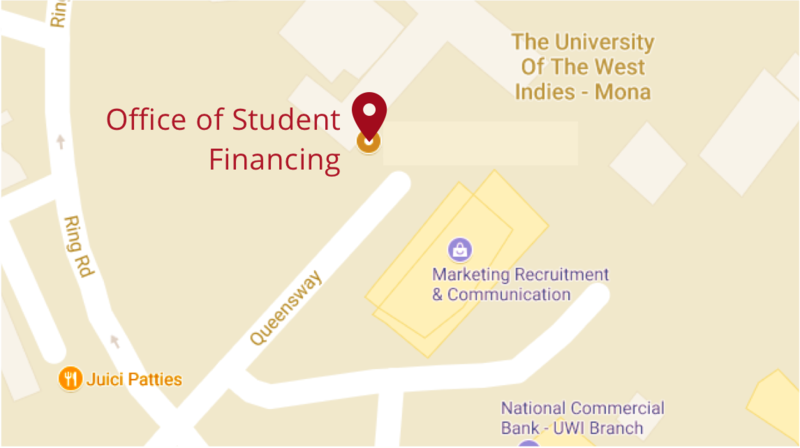 Students’ who are using an individual who has already secured an active loan must send an email to info@slbja.com requesting an override, the email should contain the details of the guarantor. However, an individual cannot be used to guarantee any further loans if the one which was previously guaranteed is not in good financial standing. Meaning the loan is in default or arrears for more than one hundred and eighty (180) days. Students who were previously on SLB and wish to renew for an additional year should pay the renewal fee at Bill Express, Paymaster or at SLB only. These amounts must not be paid at the bank. A student who has exhausted all options and can only find one approved guarantor can be considered for approval by the SLB under the Sole Guarantor system.The student must complete and submit a Sole Guarantor form. On the main application, students should name two persons indicating their TRN and place of employment. Nothing else is to be supplied for the person who is not the actual guarantor, no payslips etc will be collected and the person will not be added to the loan as liable. Transfer of Faculty and Change of Major - If a student discontinues the programme for which the loan was approved, then the first loan becomes immediately due. Payment arrangements can be facilitated by the SLB which allows the student to access the loan for the second programme while making monthly repayment for the first loan. If there is a default on the loan then the student is at risk of not accessing a further loan. The salary deduction that is setup to repay the loan does not have to be done by the parent or guarantor., anyone who is willing and able can do so on the student's behalf. Change of graduation date - Where students who are using students loan to finance their tuition and requests a leave of absence from school which results in a change of graduation date, they must request a change of graduation date from SLB submitting supporting documentation for consideration, this is what will be used (if approved) by SLB to change the initial loan repayment start date. Approved requests will be communicated to students advising what is required to facilitate the process. Students will be required to pay for insurance as well as a small processing fee. Students whose loans were cancelled because they were not submitted by the dates given can inform the SLB that they have the documents available and request further consideration, a re-instatement fee may be applicable. Academic requirements - Students must maintain an academic G.P.A. of 1.5 for their loans to be processed/renewed or for a cancelled loan to be reinstated. Engineering students can access a total loan amount of 5000USD per year from the Student’s Loan Bureau at 6% loan rate.